We are saddened to report the death of Professor Rebecca Posner. 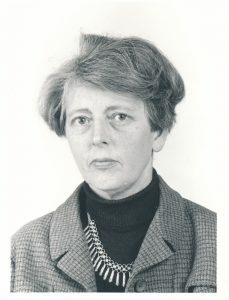 She was a Fellow of the College from 1978 until 1997, and she was made an Honorary Fellow of the College after she left St Hugh’s. Professor Posner had a long and distinguished academic career. She was the Professor of Romance Languages at Oxford, author of The Romance Languages, and editor of Trends in Romance Linguistics and Philology. Rebecca Posner was educated at Nuneaton High School and Somerville College. She graduated with First Class Honours in Modern Languages (French). 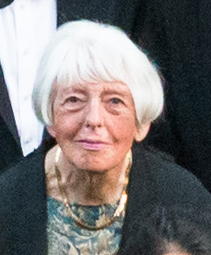 She took her DPhil in 1958 and was a Fellow of Girton College, Cambridge, from 1960 to 1963. She went on to be the Professor of French and Head of the Department of Modern Languages at the University of Ghana, and from 1965 to 1978 she was Reader in the Department of Language at York. Rebecca married the economist Michael Posner in 1953. Michael died in 2006, at the age of 76. They had a son, Christopher, and a daughter, Barbara. There will be a very simple, ‘no fuss’ secular cremation at Barton in accordance with Rebecca’s wishes on Thursday 16th August at 10.30am. People are welcome to attend and pay their respects if they wish, however there will be no reception afterwards.